POVVIK’s team comprises of highly qualified experts in the fields of ecology, environmental protection, technical engineering, natural science, and socio-economic aspects of sustainable development. 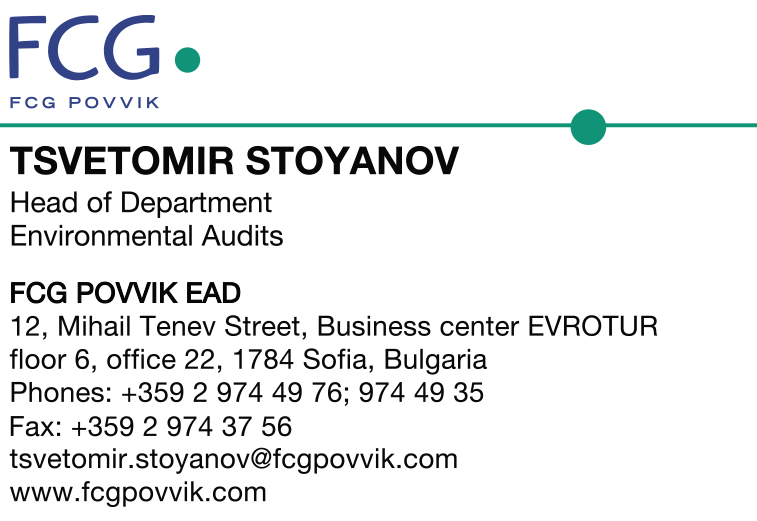 FCG POVVIK is a leading independent consulting company in the field of ecology and environmental protection, engineering, technical, natural science, social and economic aspects of sustainable development. The company history spans for over 25 years. 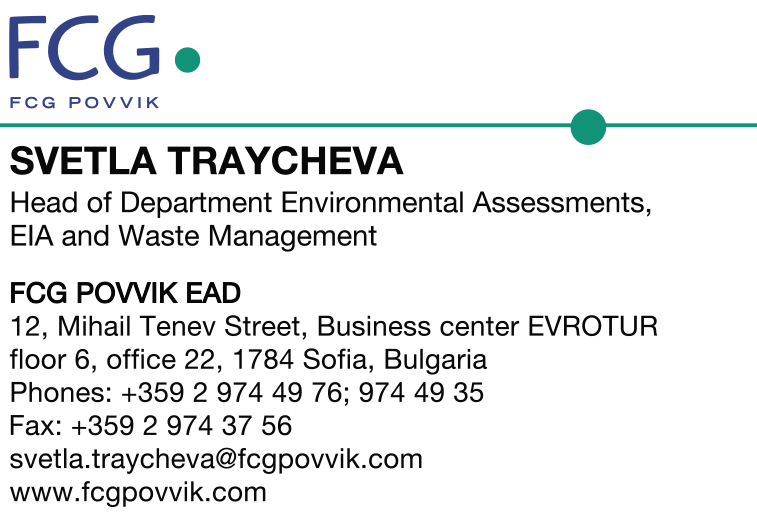 It was originally established in 1989 under the name POVVIK and was the first private company in Bulgaria in the environmental field. 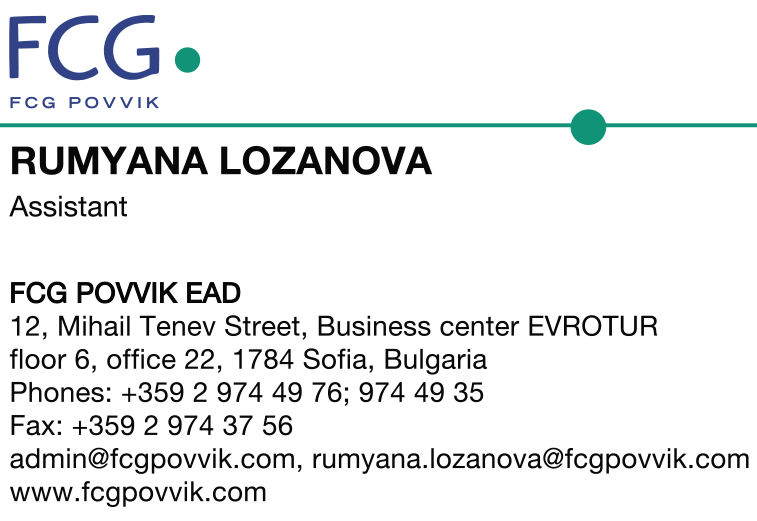 Initially the company provided consulting and design services exclusively in the field of water supply and wastewater treatment, which is reflected in the Bulgarian abbreviation used for its name. Through the years POVVIK expands the range of the offered activities, which include assessments of environmental and social impacts of investment projects; strategic environmental assessments of plans and programs; audits and due diligences; field surveys; appropriate assessments; collection, processing and analysis of geospatial data in geographic information systems (GIS); Integrated Pollution Prevention and Control (IPPC) permits and other permits related to environmental protection. 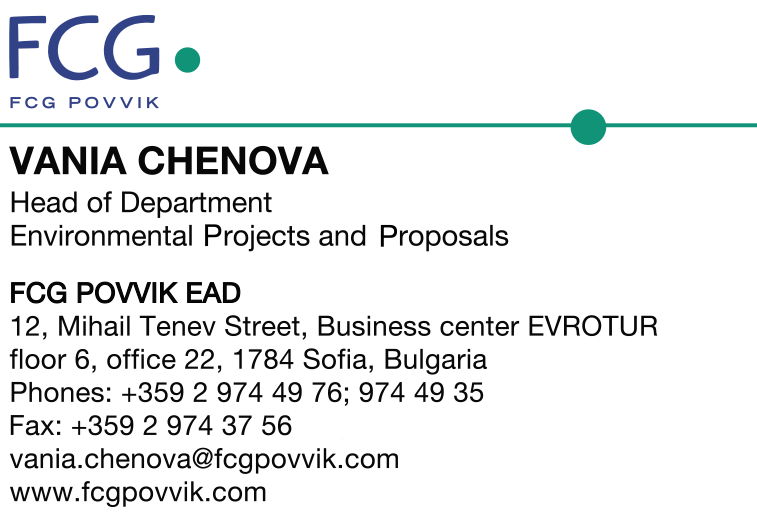 Nowadays, FCG POVVIK offers the full range of environmental consulting and engineering services for all types of industry and business, and expertise on environmental and economic analyses to local and state government. 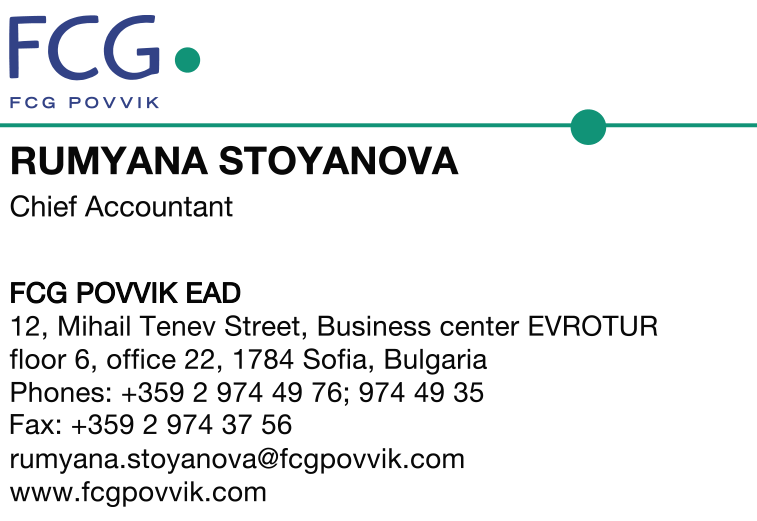 FCG POVVIK is actively engaged in numerous projects funded by international financing institutions such as the European Bank for Reconstruction and development (EBRD), the World Bank, and the European Union programs. 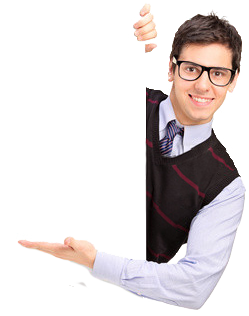 The company has established itself as a loyal, trusted and transparent partner to its private and public clients, and its employees and management strengthen the company’s image achieved through professional conduct, expert knowledge and hard work. 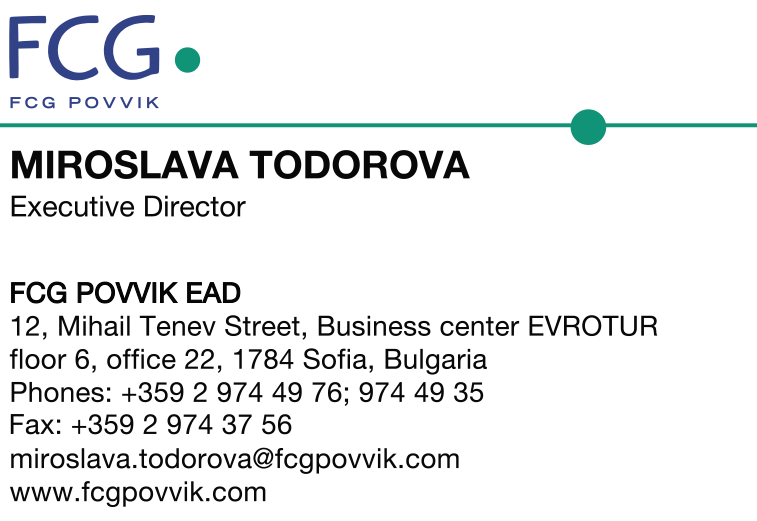 Since Bulgaria’s accession to the EU, POVVIK has sought to further expand its reach regionally and within the European Community. 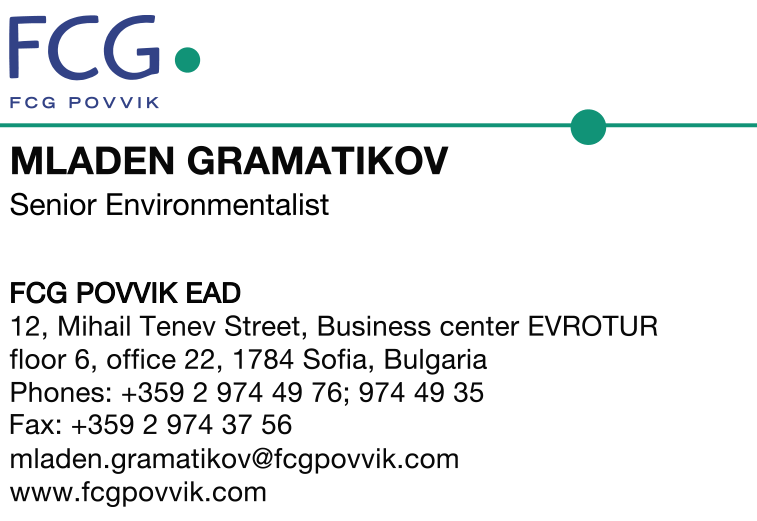 This is why in December 2007 POVVIK joined the family of the Scandinavian Finnish Consulting Group (FCG), which is a leading consulting and engineering group of companies in the field of environmental management, institutional capacity building, design and supervision. 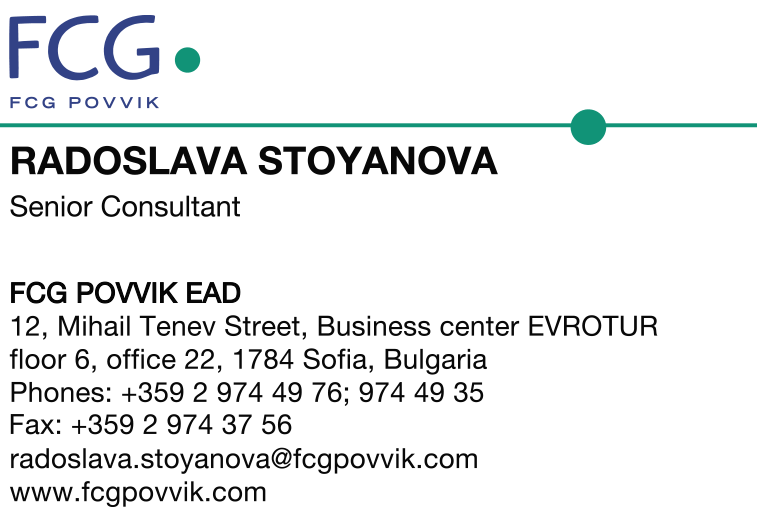 In 2017 POVVIK changed its name to FCG POVVIK. 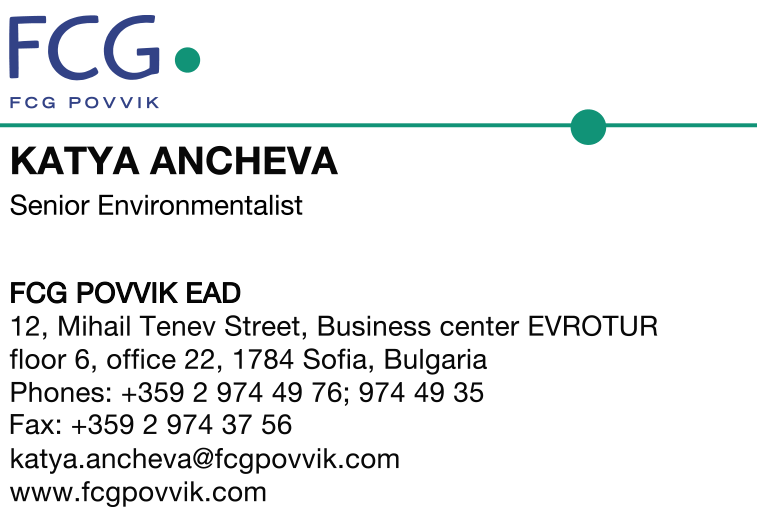 For over 25 years FCG POVVIK provides its clients with sustainability in the changing environment. 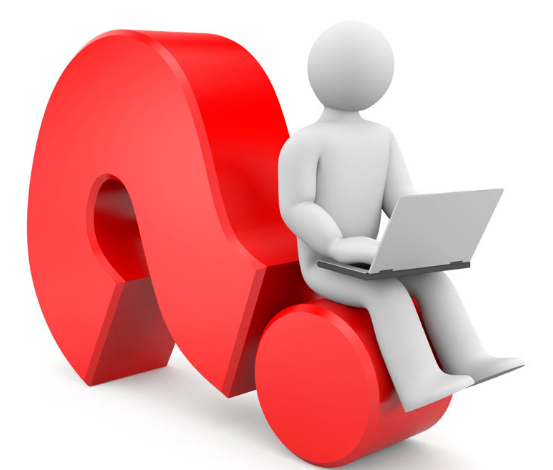 The secret to our success is in our team, knowledge, experience and the ability to solve the problems of our clients.